Hang out with us at Otakon! 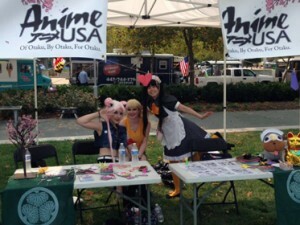 Today, we had a great day with the maids of My Cup of Tea Maid Café at the Otakon Matsuri! Come meet us at Otakon Dealers Room booth BB05 this weekend. We’ll have brand new 2014 merchandise: t-shirts, tall glasses, shot glasses, and more. If you have yet to purchase your Anime USA membership, now’s the best time! Your membership will grant you access to this year’s Anime USA convention, featuring guests: Michele Knotz, J. Michael Tatum, Johnny Yong Bosch, Lauren Landa, and more! We’re offering these special rates this weekend only! If you can’t make it to Otakon, register online. 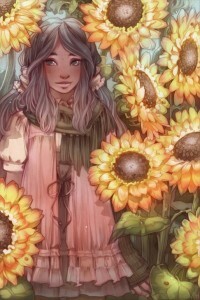 Summer’s approaching and so is Anime Mid-Atlantic! We’re heading out to his fun, Chesapeake-area show this weekend. On top of that, we’ve got a registration sale starting tomorrow until next Monday. A regular membership is only $45 and silver and sponsor level memberships are also on sale. Now’s the perfect time to join us! If you can’t make it to Anime Mid-Atlantic this weekend, you can register online.